Tabi, socks with a separate section to fit the big toe, are ideal to wear with split toe sandals. 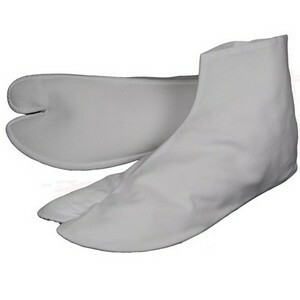 These ankle-length tabi socks, fastened with metal tabs and with a canvas cotton sole, are suitable for indoor wear. Machine washable. Made in Japan.